Today is February 28, Día de Andalucía, a holiday celebrated across the region to commemorate the day in 1980 when Andalucía gained its status as an autonomous community of Spain, giving the Government or Junta the authority to raise its own taxes and set policy for health, education, social care and cultural development. Schools across the region shut for the day (not before the kids have all enjoyed a traditional desayuno Andaluz of bread and olive oil with maybe a little sugar) and many businesses cut short their opening hours or close entirely. 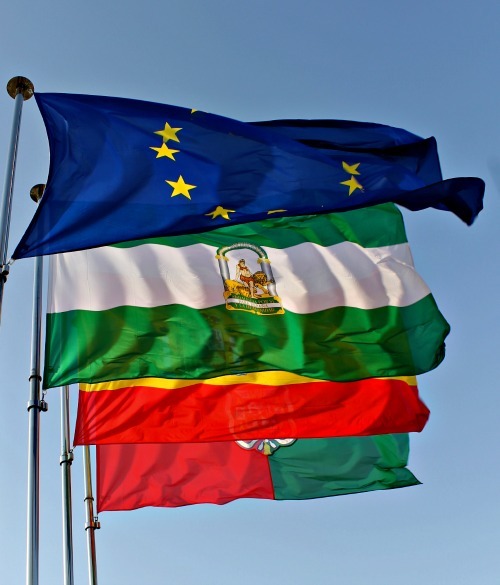 Families get together, at home or out in town, to fly the flag for Andalucía. 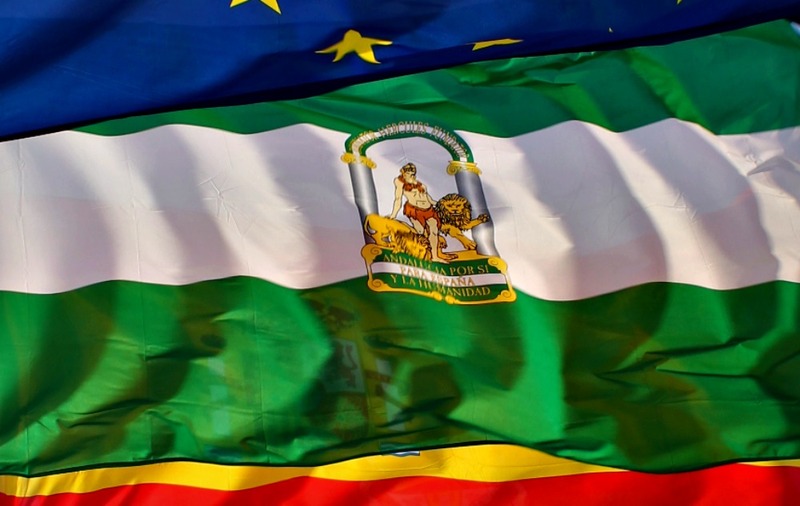 The Green and White flag bears the region’s coat of arms and motto: Andalucía por sí, para España y la Humanidad – Andalucía by herself, for Spain and Mankind. It depicts the mythical Greek hero Heracles standing between the Pillars of Heracles which represent the rocky promontories that flank the Straits of Gibraltar and form the gateway to the Mediterranean. Some towns will hold communal events offering traditional food, drink and entertainment and members of the community may be recognised for their good work and services by local politicians. If you are a visitor in Andalucía around this time don’t expect to get much grocery shopping done on this day and play it safe if you fancy eating at a particular restaurant by booking ahead. 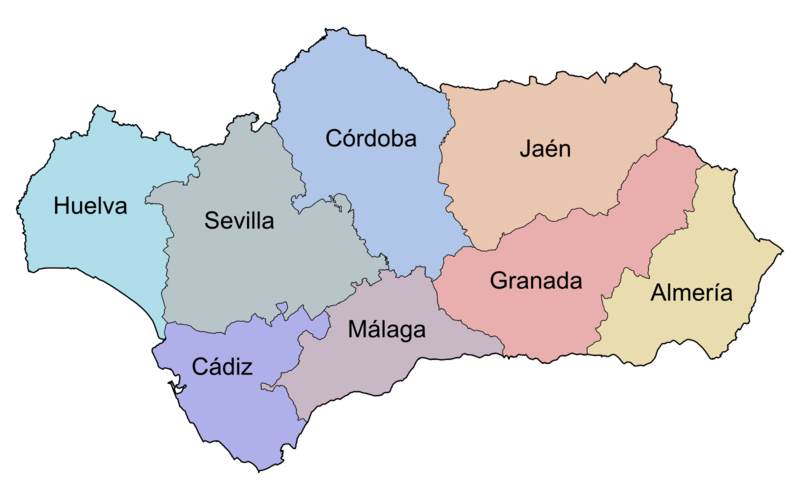 On a regular day this site is devoted almost entirely to the subject of Granada Province but in the spirit of Día de Andalucía I have cobbled together a whirl-wind tour of Andalucía’s eight provinces shown on the map. From the deserts of Almería in the east to the Doñana in the west I hope to give you a flavour of what it is the ebullient Andalucíans, with their incredibly strong sense of cultural pride, are celebrating in this great region and why. Almería, the most easterly province, is the home of the spaghetti western, providing the dry and barren locations for such classics as A Fistful of Dollars, and the backdrop for spin-off Wild West theme parks like Mini Hollywood. 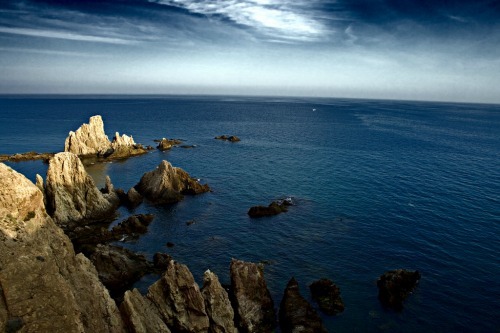 Clear waters, starry skies and the incredible peace and beauty of Cabo de Gata-Nijar Natural Park are what attract many people to this area of Andalucía. La Iglesia de la Virgen del Mar, Museo Refugio de la Guerra Civil and Casa del Cine. Go here for information on accommodation. Faded and frayed at the edges, elegant Cádiz, one of the oldest cities of Europe, was once home to the Spanish Treasure fleet. Now it is famous for hosting the most spectacular Carnival in mainland Spain, a 10 day extravaganza in February and the highlight of the Cádiz calendar. Tarifa, on the Atlantic Costa de la Luz, enjoys the winds from the Straits of Gibraltar, and is a serious draw for kitesurfers and windsurfers. It is also a great destination for birdwatchers, as it sits on the migration path between Europe and Africa, and for hikers who visit Sierra de Grazalema Natural Park. Other attractions on any visitor’s to-do list include: The Catedral de Cadíz with its iconic golden cupola, Museo de Cadíz and the Torre de Poniente. 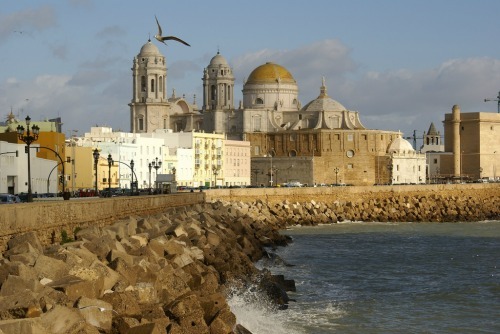 For some great ideas on where to go and what to do in Cádiz check out this post from Family Life in Spain. And for accommodation information click here. Birthplace of Seneca, the Roman stoic philosopher and statesman, and one time capital of Al-Andalus, Cordoba is one of Andalucía’s Golden Triangle cities, alongside Granada and Seville. 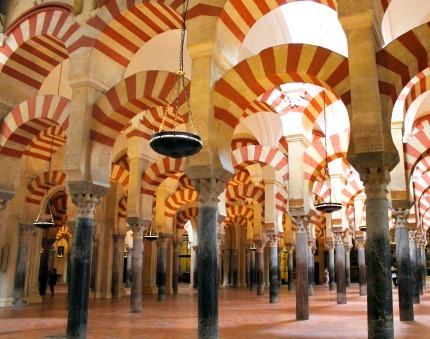 The main attraction is the great mosque or mezquita, instantly recognisable for its famous striped arches. Its beauty saved it from demolition by the reconquering Christians who built their cathedral within the mosque instead. 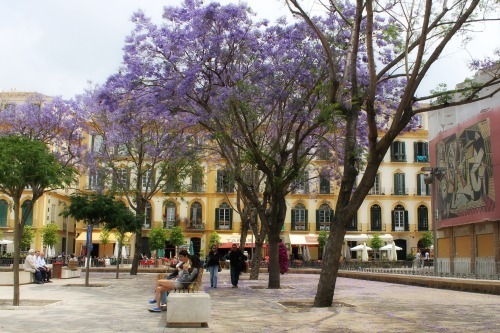 May is a great time to visit, before the real heat arrives, when you can experience the feria and enjoy strolling through the plazas and streets when they are decked with flowers as locals compete for the title of ‘Most Beautiful Patio’. Other places of note include: Torre de la Calahorra, the winding streets of the Judería or old Jewish quarter, Callejón de las Flores and the beautiful gardens of the Alcazar. For accommodation information click here. With the beautiful beaches of the Costa Tropical, the rolling hills of La Alpujarra, the ski slopes of the Sierra Nevada and the attractions of an historic city, Granada offers incredible diversity for those travelling to his part of Andalucía. Granada and the Alhambra, home of the Nazrid Kings, was the last bastion of Al-Andalus against the reconquering Catholic Kings Reyes Católicos, Isabella of Castile and Ferdinand of Aragon. Along with Córdoba’s Mezquita the palaces, fortress and gardens of the Alhambra offer the clearest picture of past Muslim splendour in Andalucía. Famous Granadinos include Alonso Cano, José Guerrero and Federico Garcia Lorca. 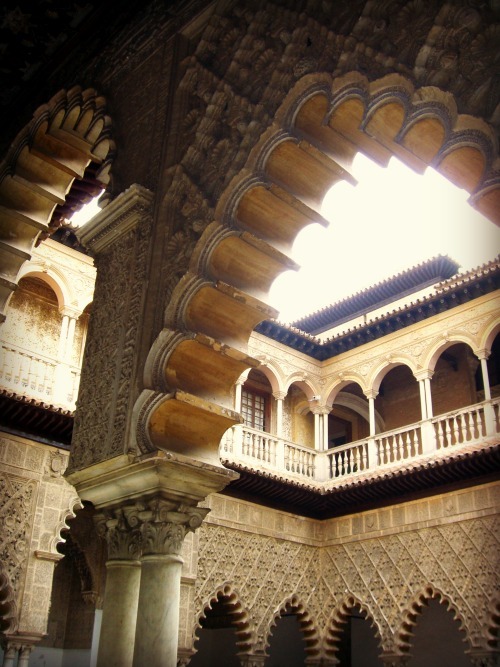 Granada is also known as the birthplace of Flamenco and the land of the free tapa. Other attractions include: El Albayzín, numerous galleries and museums, the Arab Baths, La Cartúja, the Catedral and Capilla Real. 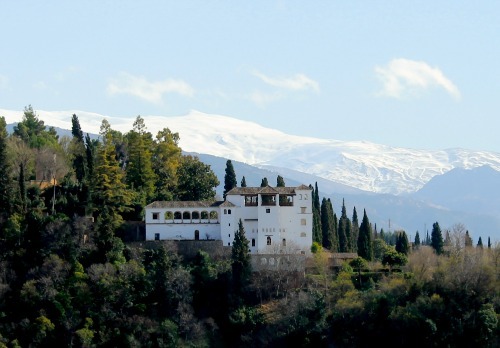 Click here for hotel recommendations in Granada. Famously the departure point for Cristobal Colon to the Americas, Huelva, in the far west of the region, may be slightly off the beaten tourist track but it still has much to offer including a large percentage of Spain’s strawberrys. The area boasts the Doñana Natural Park, one of the most beautiful nature reserves in Spain where you might hope to spot Spanish red deer, wild boar, purple heron, the Spanish lynx and if you are very lucky the rare Spanish imperial eagle. 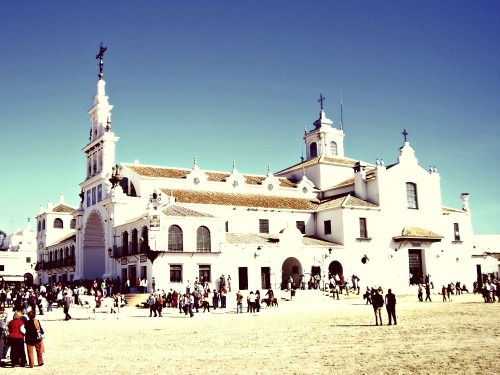 Much visited is the village of El Rocio in Huelva. This is the end point of the famous pilgrimage, originating in Seville, that has taken place every Whitsun for over 200 years. When in Huelva also visit: Palos de la Frontera and La Rabida Monastery, Museo Minero Rio Tinto and Castillo de Niebla. For accommodation information click here. As you travel through Jaén you will quickly discern the province’s distinguishing characteristic: olive groves. 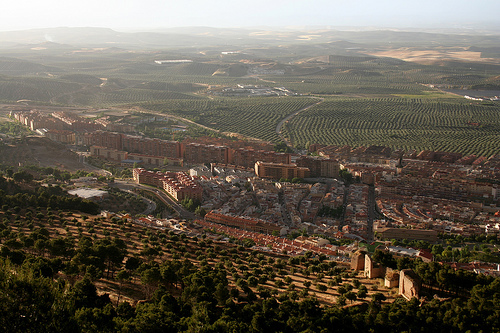 Jaén is the olive producing capital of Spain, of the world even. It accounts for half of Andalucía’s olive oil production, a third of that of Spain and a whopping 10% of global production. More olive oil is produced in this one province of Spain than in the whole of Italy, the world’s second largest producer country. You get the picture. But it’s not all about olives. Places of architectural interest in Jaén include the Castillo de Santa Catalina, built on the hilltop site of a ruined Arab fortress, overlooking the city and the monumental cathedral which is one of the most important examples of Andalucían Renaissance-style cathedrals. Also worth a visit is Jaén’s Arab baths at Villardompardo’s Palace, the most significant of their kind preserved in Spain, and the great Natural parks dotted with fortresses, alcazars, castles and watchtowers. Click here for a really great post on what Jaén has to offer. And for accommodation options go here. Not so long ago Málaga, a city that dates back over 2,800 years, was known best by some for its busy airport serving expats and holiday makers heading for the Costa del Sol. This of course is no longer the over-riding perception. In recent years a number of museums have opened, including the Picasso museum, celebrating one of Málaga’s most famous sons. Málaga’s long history and this cultural renaissance, not to mention the fabulous beaches, the climate, great shopping, outstanding tapas and lively nightlife available to the visitor, makes it a destination on a par with its old rival and neighbour Seville. In recognition of Día de Andalucía schools in Málaga close for a ‘cultural week’ also known as Semana Blanca. Add these to your must-see in Málaga list: the jacarandas in bloom on Plaza de la Merced, the Alcazaba, Balcon de Europa, the caves at Nerja, wine tasting at Bodega Bentomiz, picturesque white-washed Frigiliana, and the Puente Nuevo crossing the gorge at Ronda. For hotels and rentals in and around Málaga click here. And lastly, but only by virtue of its position in the alphabet, we finally reach the capital city of the region and home to the headquarters of the Junta de Andalucía: dreamy, steamy Sevilla. Sevilla was the birthplace of artist Diego Velázquez and, more relevantly to this post, Blas Infante, the ‘Father of Andalucía’ and driving force behind movement for Andalucían independence. An interesting fact is that of the 70 bullrings in Andalucía, Seville’s ‘Catedral del Toreo’ is the most important and the finest in Spain It is also the setting for the final murderous act in Bizet’s Carmen. The cathedral, giralda and Alcazar are the must-see historic monuments as well as the not-so-historic, but equally impressive, and considerably more controversial, El Parasol. Seville, so hot in the summer, is also famous for its late night scene and countless tapas bars. The Sevillianos also put on a great show at the Feria de Abril and Santa Semana. Book accommodation early if you plan to be in the city for these events. Click here for further reading by the Scribbler in Seville. What hasn’t been written on this blog about Seville is probably not worth knowing. Are you still with me after that whistle-stop love affair with Andalucía? I hope so. All that remains for me to say is ¡Buen Día de Andalucía folks! I’d love to hear about your experiences of Andalucía here. Have you ever attended the Carnival in Cádiz? Been sherry tasting Jerez? Partied at the Feria de Abril? Just drop me a comment below.